Every year, the Transportation Security Administration (TSA) is tasked with keeping the skies safe from those who would willfully or accidentally bring items aboard commercial aircraft that could threaten the wellbeing of other passengers. Although many see these individuals as nothing more than a nuisance when trying to fly, their jobs have helped to keep the skies safe from contraband, weapons, and other potentially dangerous items. In 2015, the TSA prevented 2,653 guns from passing through checkpoints and into the cabins of commercial aircraft, with 83 percent of those finds loaded and ready to be fired. While many of these items are legitimately dangerous threats, others have been discovered to border on the unusual, with some even being considered "very strange." From movie corpses to fake explosive devices, it seems like there isn't anything the TSA hasn't seen pass through their checkpoints since the agency's formation in November 2001. 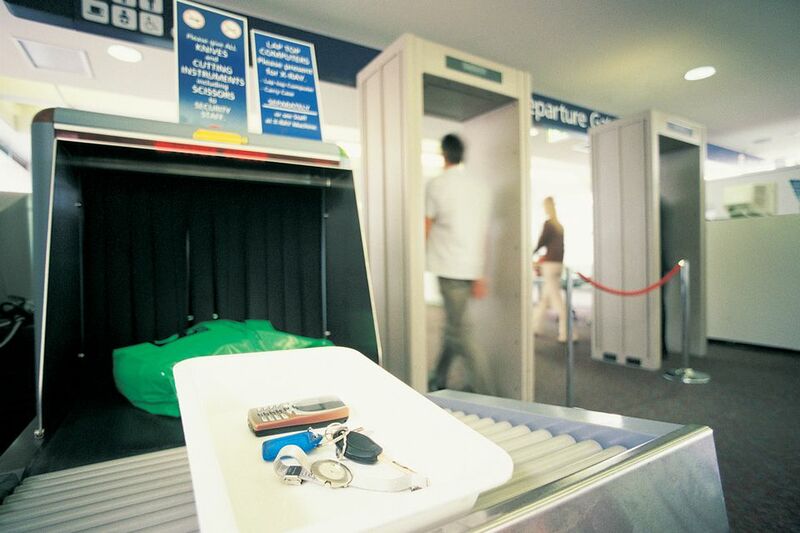 In 2016, this trend didn't change, as those in charge of screening passenger luggage saw even more unusual items than ever before enter into airports. If you thought your packing habits were strange, it may be little compared to some of these items found by the TSA in 2016. Here are the seven strangest items found trying to board aircraft, according to the TSA social media team. Most experienced travelers know that anything that looks like an explosive - real or otherwise - is banned from flying on a commercial aircraft. However, that does not stop some travelers from trying to get items past the watchful eyes of the TSA, even if they are rather obvious. In June 2016, a traveler flying out of Newark Liberty International Airport came through the passenger screening line with a golden hand grenade packed in their carry-on luggage. When the luggage went through the x-ray machine, it was immediately flagged for additional search. 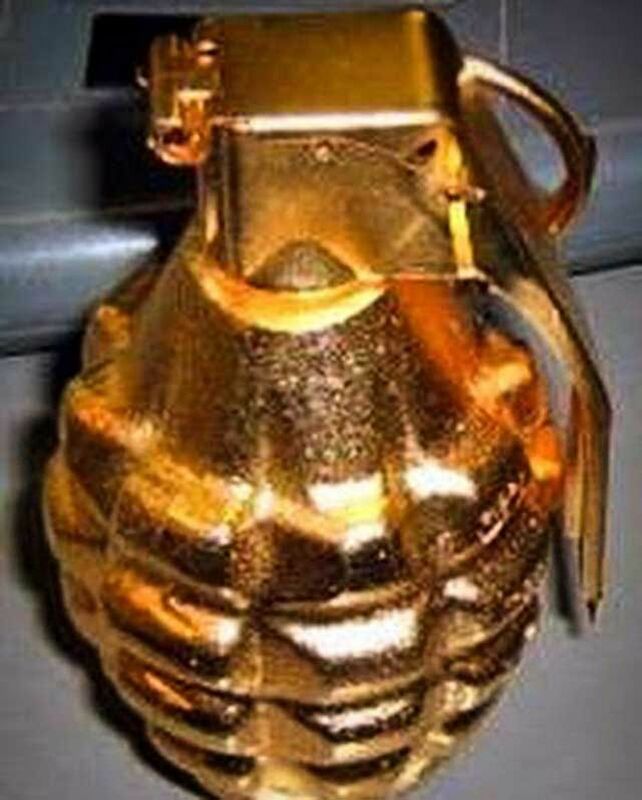 Although it was a dud, the golden hand grenade was not allowed to go past the TSA checkpoint and aboard the passenger's flight. The TSA reminds passengers to leave questionable items behind, as anything that looks like an explosive will be flagged, and can lead to confiscation, or even arrest by the local police authorities. "We don’t know it’s inert until explosives professionals take a closer look, and that takes time and slows down the line," the TSA explained on Instagram. "It can even lead to a complete shutdown and evacuation." While some items are meant as nothing more than fun items to bring new depth into a game, they still can create major problems for the travelers carrying them, and the greater public flying with that traveler. This lesson was made crystal clear in Richmond, after a gamer took his gaming - and a training item - a little too seriously. In October 2016, a traveler passing through Richmond International Airport was stopped by the TSA, after a suspicious item was found in a checked bag. After inspection, the agents discovered a homemade replica suicide vest packed in the checked bag. While the vest was intended for a live-action roleplaying game the traveler participated in, it still caused a major problem for the airport. It took explosives experts and airport police working together to determine the vest was, in fact, a fake. Even if the item was intended as a prop, the simple possession of the item could have created a major problem for police, the TSA, and other flyers who could have panicked at the thought of being in a life-or-death situation. Anything that looks like it could be an explosive can lead to arrest, fines, or even jail time. "Don’t pack your homemade replica suicide vest," the TSA warns on Instagram. "Fortunately, the explosives experts determined the vest posed no danger." While some items look more malicious than they might be, absently forgetting they are packed in carry-on luggage could result in additional searches, questioning, and confiscation from the TSA. A flyer going through Atlanta - one of the busiest airports in the world - discovered this when accidentally leaving a decorative item in their carry-on bag. In November 2016, a flyer accidentally left a dragon claw ring, complete with a blade, in their carry-on luggage. The item was immediately flagged after going through the checkpoint, and discovered by TSA agents in a subsequent search. The item was ultimately confiscated, and not allowed to continue with the traveler to their final destination. According to TSA guidelines, most knives are prohibited from carry-on luggage, with the exception of rounded butter knives and plastic knives. A plan to allow knives under two-inches long was proposed by the TSA in 2013, until it was ultimately disallowed after review. However, knives can be packed in checked luggage, but should remain sheathed for the safety of travelers and those handling the luggage. "We’re pretty sure this isn’t a letter opener," the TSA mused on Instagram. "Whatever it is, it should be packed in checked baggage." Even though it is a crime to remove endangered species from their natural habitat, it does not prevent some international travelers from attempting to do just that every year. The experts at TRAFFIC: The Wildlife Trade Monitoring Network estimates the illegal wildlife trade black market conducts illicit business valued at over hundreds of millions of dollars every year. The TSA played a role in stopping one such instance in Detroit, when a flyer attempted to bring five dead endangered seahorses aboard their flight. In March 2016, a ticketed passenger aboard a flight leaving Detroit packed the seahorses in an oversize liquor bottle, which was then left inside their carry-on luggage. The bottle was flagged at first, and the seahorses were discovered shortly thereafter. Endangered animals, their remains, and other relics are not only hazardous to the environment, but are also illegal as well. Those caught carrying animals could be subject to arrest, fines, and jail time. In this particular situation, officers from Michigan Fish and Game responded to the incident, and confiscated the seahorses from the flyer. While some travelers are concerned about how they are going to fit all of their items in an airline-approved carry-on bag, others are more concerned with how they are going to get their items aboard an aircraft. A passenger in Houston found this out the hard way, when they were caught with a rather unique item. In October 2016, a passenger attempting to board a flight in Houston's George Bush Intercontinental Airport was stopped by the TSA when their carry-on luggage went through the x-ray machine. After additional screening, two bladed floggers were found inside the luggage, each containing five two-sided blades attached to a chain and handle. Although not necessarily illegal to possess, the floggers and their blades were not allowed to be carried aboard a commercial flight. If the traveler had packed their blades in a checked bag, they would have been allowed to travel along to the passenger's final destination. "If you’re in a situation where you’re going to need your floggers, they’ll have to be packed in checked baggage," the TSA noted on Instagram. Although post-apocalyptic literature and art have become more mainstream with the relaunch of the Mad Max series, civility still reigns in the skies above. Although travelers may feel like flying isn't as luxurious as it once was, it is still no reason to pack a gas mask riddled with bullets in a carry-on bag. None-the-less, one traveler attempted to get past the TSA security checkpoint in October 2016 with what is described as a "post-apocalyptic bullet-adorned gas mask" in their carry-on luggage at Miami International Airport. When the passenger submitted their mask to the x-ray machine, it was immediately flagged for additional screening. Even though the gas mask itself would be allowed in a carry-on bag, the bullets created a hazard for both the TSA and other flyers. In the end, it was determined the mask could not go on the flight, simply for all the bullets covering the mask. "While gas masks are allowed in carry-on bags, replica bullets are not," the TSA noted on Instagram. "Maybe [the passenger] was catching a one way flight to Fury Road?" Even with bullet-adorned gas masks, bladed floggers, and golden grenades all found in passenger's carry-on luggage in 2016, it may not be the strangest thing found by the TSA in the year. Rather, the strangest item may be a corpse that attempted to "deadhead" at Atlanta's Hartsfield-Jackson International Airport. The corpse, which flew in May 2016, was not a real body, but rather a movie prop. The fake body was used in the remake of The Texas Chainsaw Massacre. Instead of shipping it across the country, the owner decided it would be more cost-effective (and more amusing) to take it aboard their flight. Like any carry-on item, it was screened by x-ray and visual inspection by TSA agents, before being allowed to board their aircraft. While the movie prop was allowed to fly aboard their aircraft, other items can be refuted by both the TSA and airlines if they are too big to fly, or are considered a nuisance. In one such case, a prank vlogger was denied getting past the checkpoint after attempting to carry on an oversized teddy bear.